SR 30 (US 98) Navy Boulevard PD&E Study Reevaluation | DRMP, Inc. This visualization project supported PD&E study by creating an overall conceptual 3D rendering of the existing Navy Boulevard corridor to include travel lanes, parking, bike lanes and aesthetic landscaping (Complete Streets concept). The limits of this study are from SR 295 (New Warrington Road) to the Bayou Chico Bridge. CAD information was imported into Sketchup Pro to produce a 3D model of the corridor. 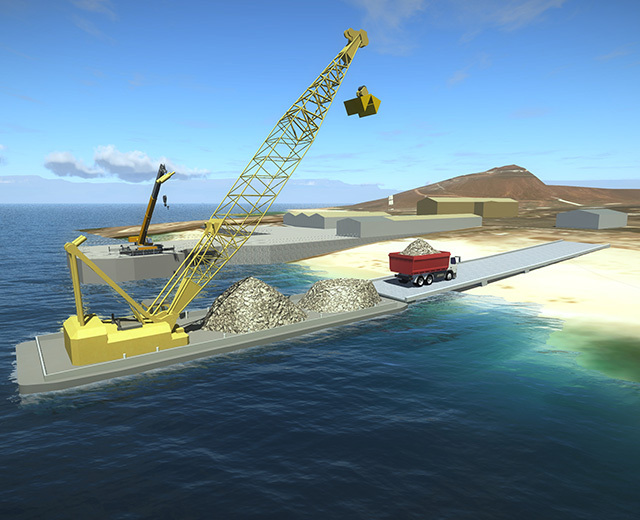 The file was rendered in LumenRT with real-world lighting and texturing, and then composited over high resolution oblique aerial photography. 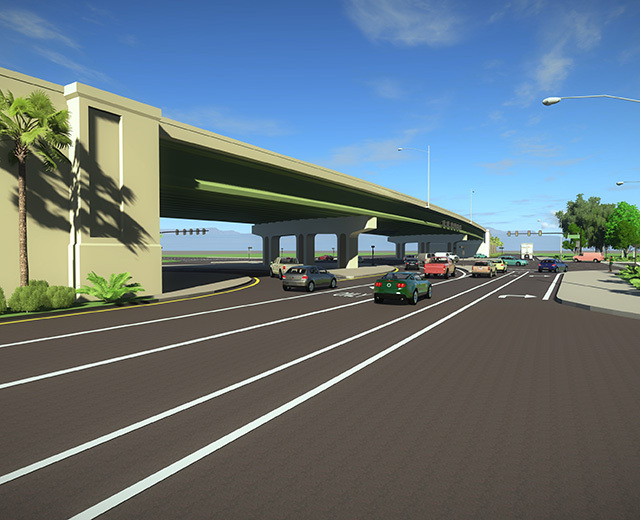 The 3D model complemented other public involvement efforts to support Florida Department of Transportation District Three in building consensus for the study’s alternatives.